both birds as well planes to fly through. Global energy demand continues to grow along with worldwide concerns over fossil fuel pollution, the safety of nuclear power and waste, and the impact of carbon-burning fuels on global warming. 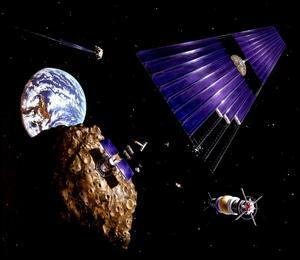 As a result, space-based, solar power generation may become an important source of energy in the 21st Century. 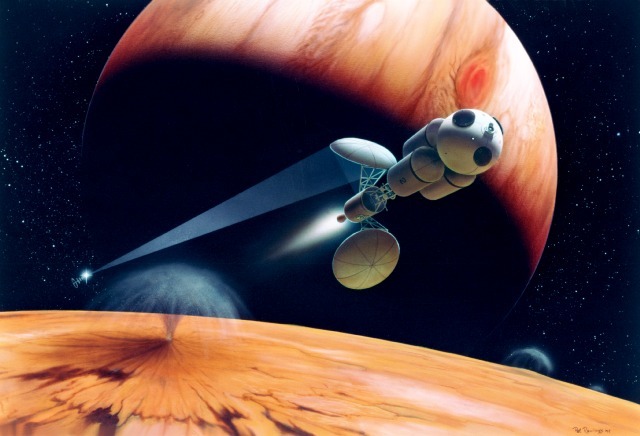 According to a study by the Space Studies Institute (SSI), the nonprofit foundation founded by the late physicist and visionary Gerard O'Neill (19? 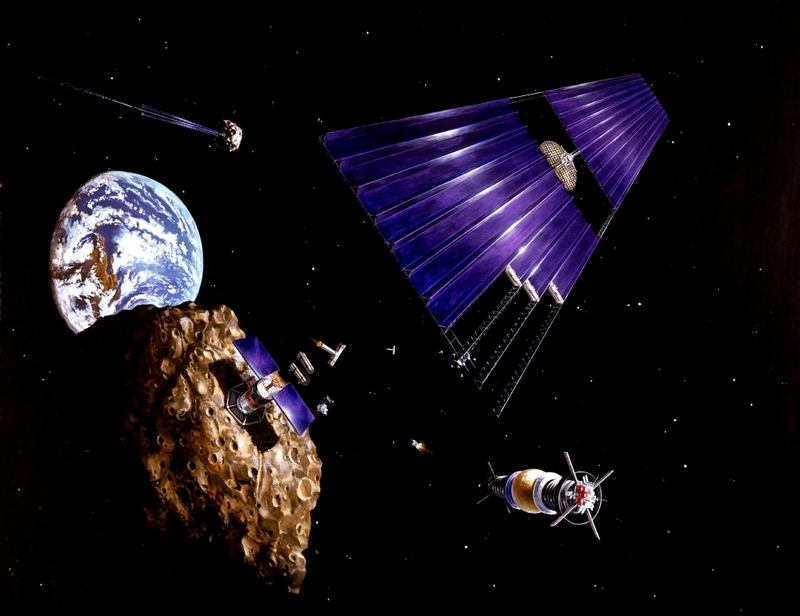 ?-92), over 99 percent of the materials needed for building solar power satellites (SPS) can be obtained from Lunar materials. This would reduce the cost of SPS construction by almost 97 percent compared to the alternative of use materials launched from Earth. 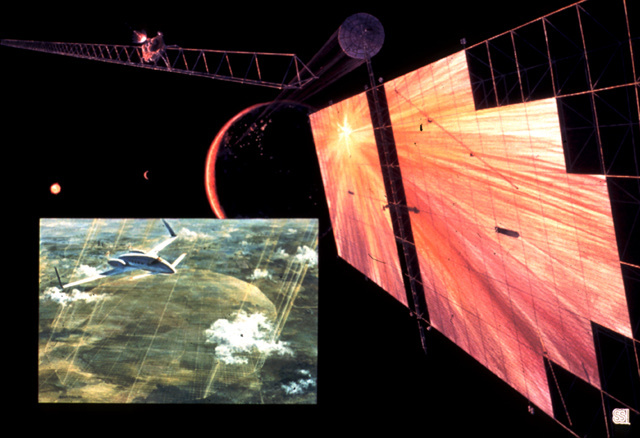 Promoted as early as 1968 by Peter Glaser, then a NASA scientist, Solar power satellites can be built to convert direct Solar radiation received in the full, unobstructed intensity possible in space to direct current (DC), electrical power. Although early photovoltaic systems were very inefficient, state-of-the-art systems can now convert the sun's energy into electricity at a rate of 42 to 56 percent, according to Neville Marzwell, a NASA scientist at the Jet Propulsion Laboratory in California. If not built in space, giant sheets of photovoltaic cells could be unfolded in low Earth orbit by astronauts or robots, and then boosted to about 22,300 miles above the equator where they would remain in the same spot over the Earth. Free of atmosphere or dust or clouds, such photovoltaic arrays would collect at least eight times more solar energy than they could on the ground and would work 24 hours a day, practically all year. Solar-generated, DC power would be converted to microwaves and transmitted through space as electronically steerable microwave beams. Called "wireless power transmission" (WPT)), these beams would be captured by receivers (covering several square miles) in remote areas on Earth and converted back into DC power for terrestrial electrical grids. According to the SunSat Energy Council, a non profit organization affiliated with the United Nations, the beam would be so low in density that it wouldn't even feel warm if you happened to walk through it. In 1990s, Japan research flew a small airplane powered by microwaves beamed up from the ground. Indeed, because the island nation has no energy resoures of its own, Japanese officials have announced plans to have their first solar power satellite in operation by the year 2040. 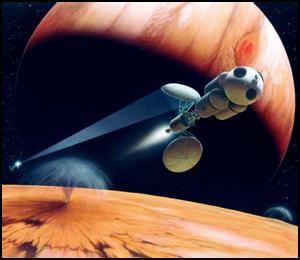 WPT, however, also has great potential for non-terrestrial applications, including electrically propelled spaceships for interplanetary (within Solar System) as well as interstellar transport (at sublight speeds) by providing beamed power for space propulsion systems, such as those using space Sails. located among the inner planets.